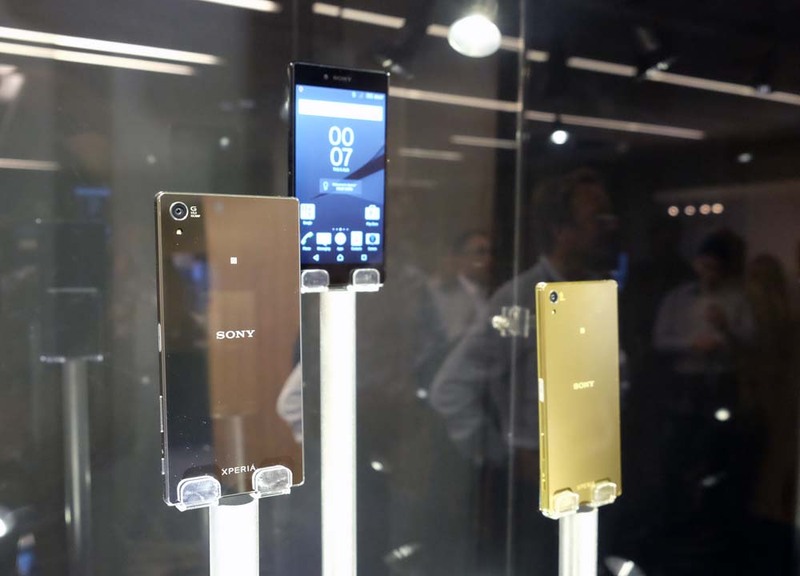 While it's only been barely 10 weeks since Sony's Xperia Z3+ (aka Xperia Z4) was officially launched in Malaysia, Sony is now rolling out a new flagship smartphone, the Xperia Z5. The new Z5 looks like it could be the biggest upgrade from Sony since the Z1, boasting a new 23MP camera with 0.03 second hybrid autofocus, a fingerprint scanner built right into the power button and an innovative memory cache built into the display technology that cuts down on unnecessary rendering, resulting in up to two days of battery life (or so Sony says). 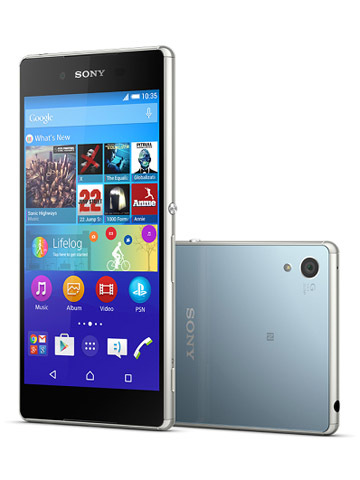 As usual there will also be a smaller 4.6-inch Z5 Compact available. Other than its smaller HD display and 2GB RAM, the Z5 Compact has the same features and specs as the regular Z5. In Singapore, both phones will be available in October for S$998 (RM3,051) and S$828 (RM2,532) for the Z5 and Z5 Compact respectively. Sony will also be adding a 5.5-inch Z5 Premium to the lineup, which will cost S$1,098 (RM3,358) and boasts a 4K resolution display with a whopping 806ppi! However, the Z5 Premium will not be available until November and unfortunately it was locked behind glass at Sony's launch event today so we weren't able to get our hands on it. 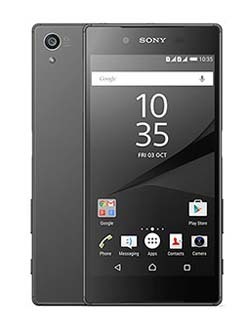 As such, this article will focus on the Z5 and Z5 Compact. 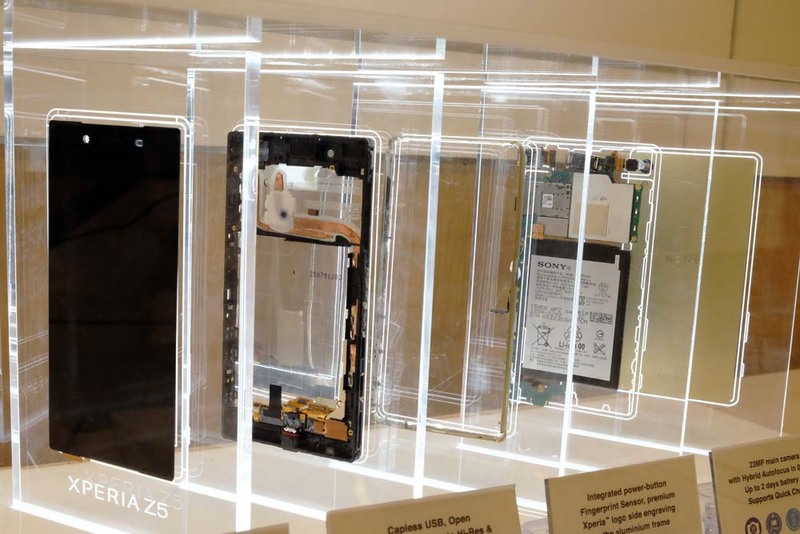 Sony's Xperia Z lineup has undergone only minor design changes over the years, and unsurprisingly, the Z5 shares the same Omnibalance rectangular design as its predecessor. At 7.3mm, the Z5 is a tiny bit thicker than the Z3+, and also slightly heavier at 154g. It's actually pretty much gone back to the same specs as the Z3, which was also 7.3mm and 152g. One of the more noticeable changes on the Z5 is that the glass rear panel is now a matte, frosted glass rather than the glossy fingerprint magnet panels of previous Z smartphones. The other noticeable change is that Sony's signature round silver power button is gone, replaced with a considerably less stylish oblong-shaped power button. The reason for this is that the power button now houses a fingerprint scanner. As with previous Z smartphones, there's a skinny volume rocker on the right-side as well as a dedicated camera shutter button. Like all Xperia Z smartphones, the Z5 is dust and waterproof, and is rated IP68, which is the highest rating possible on the IP scale. One of the new improvements that carries over from the Z3+ is a new capless USB port, which means the only flap you need to ensure is sealed for water protection is the nano SIM and microSD card slot. As with previous Z phones, the 5.2-inch Z5 has a Full HD 1,920 x 1,080 resolution display giving it 428ppi. There will also be a smaller Z5 Compact available, with a 4.6-inch 1,280 x 720 pixels resolution display, giving it 323ppi. 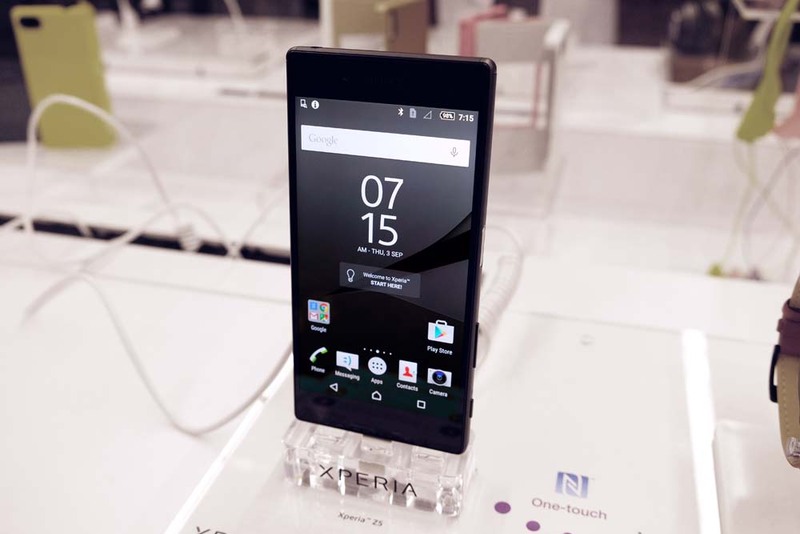 Sony is introducing a new display technology with the Z5 range that utilizes a memory cache built into the display. This cache is designed to reduce the amount of rendering required by the screen, which should cut down on processing power and result in longer battery life. 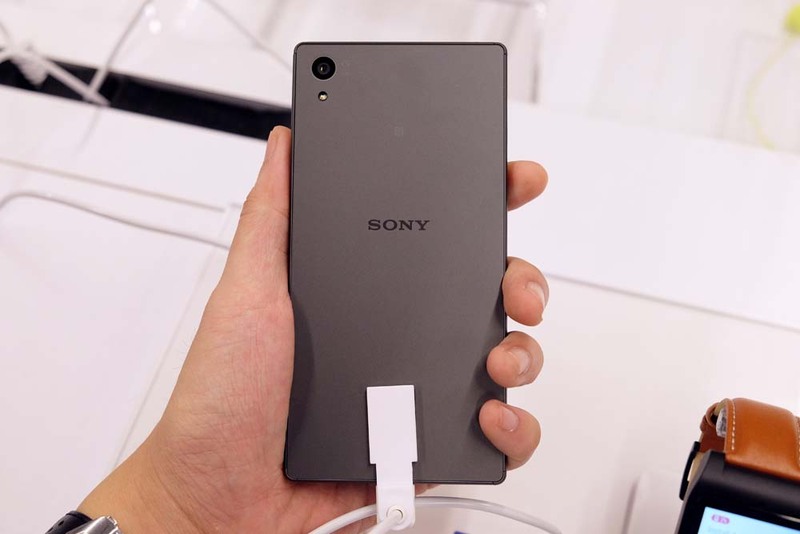 Sony claims that this new technology will give the Z5 lineup up to two days of battery life. 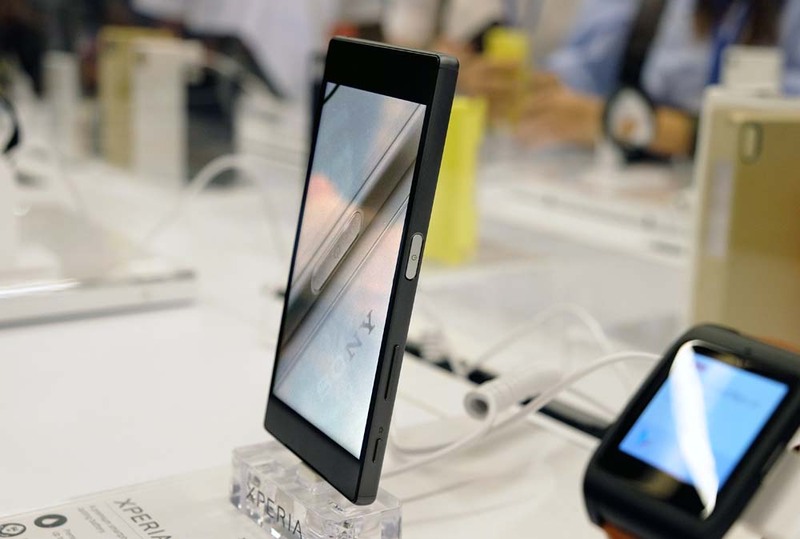 As with previous Z smartphones, both the Z5 and Z5 Compact boast front-facing stereo speakers. 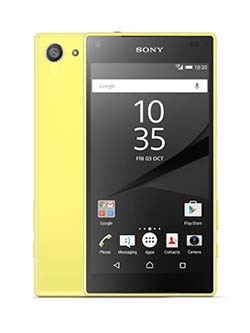 Both phones also support high-resolution audio through Sony's LFAC codec. Like the Z3+, both the Z5 and Z5 Compact are powered by Qualcomm's Snapdragon 810 octa-core processor. The Z5 has 3GB RAM, while the Z5 Compact has 2GB RAM. Both phones also have 32GB internal storage and a microSD card slot that supports cards up to 200GB. Sony says it has completely rebuilt the cameras used in the Z5, and is boldly declaring it as "the world's best camera in a smartphone". The new camera is a 23-megapixel module with a Sony f/2.0 G lens. Apparently a lot of technology from Sony's α series has been built into this new camera, including the hybrid autofocus system. According to Sony, the new camera module only needs a ridiculous 0.03 seconds to autofocus, which is actually faster than the blink of a human eye (around 0.04 seconds). The camera's low-light performance also looks promising, as the module can support up to 12,800 ISO, the highest in any smartphone camera. Finally, Sony also claims that its SteadyShot OIS (optical image stabilization) is the best in the industry.